In other words, Christ paid the ultimate high price with a brutal, painful death. He was sacrificed and became our substitute to pay for our personal sins. But, more than that, Paul is saying to the Corinthian church that, as a result of that sacrifice, they should turn from old sinful ways of life and live a new, more godly way of life that is symbolised by the next feast he tells them to keep. Paul writes: "Therefore let us keep the feast; not with old leaven, nor with the leaven of malice and wickedness, but with the unleavened bread of sincerity and truth.” Therefore, or because of, the sacrifice that Jesus made we should go on and keep the feast “with the unleavened bread of sincerity and truth.” But what feast is this? 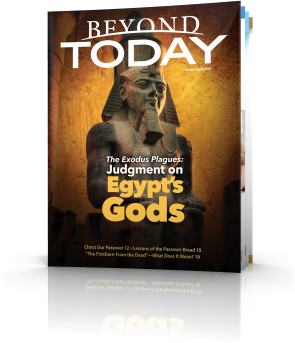 Most people have some familiarity with the Passover from the story of the Exodus particularly if they have seen Cecil B. De Mille’s version of the Ten Commandments. 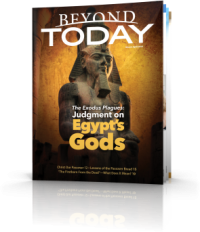 Most, however, are not so familiar with the next festival that follows straight after the Passover which is called the Feast of Unleavened Bread. 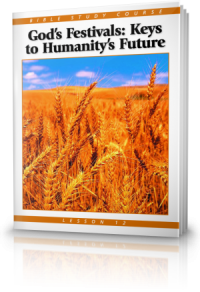 For seven days God commanded that leaven (products with rising agents such as yeast) were to be purged and that bread made without rising or leavening agents was to be eaten instead (Exodus 12:15). Leaven is a rising agent that puffs up like our own ego and pride. When we become full of our own importance and focused far too much on what we want above the needs of others, we begin to go down the path of sin – “the leaven of malice and wickedness” as Paul puts it. The ritual of putting out leaven for seven days symbolises doing our best with God’s help to put out those wrong habits of ours that hurt others and ourselves and are contrary to God’s law. Putting out leaven is only half the process. 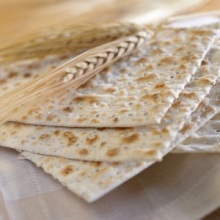 For each of the seven days of the feast the command is to eat unleavened bread (Exodus 12:15). It symbolises not only putting out what is bad in our lives but replacing it with what is good! Bad habits must be rooted out of our lives but nature abhors a vacuum. Good habits must be developed in their place in our lives. Paul tells us to eat the “unleavened bread of sincerity and truth”. Paul uses these two key descriptors – sincerity and truth. Why are they so important and fundamental to building God’s character in our lives? Another deception by builders of the day was to use wax to get around the time-consuming process of polishing marble surfaces. They would give a pillar or a marble floor a rough polish and then rub wax into the cracks. It looked like expensive work — until heat would later expose the cracks. Similarly, the light of God's word and the heat of trials in our life can easily expose the imperfections in our character which we should aim to correct. Sincerity means purity of motive and heart. God is actively searching and testing our hearts (Jeremiah 17:10) and is looking to purify our hearts. It is our motives that ultimately drive our actions and our behaviour. Sincerity is fundamental as it addresses why we do what we do. Even if we do good actions our character can be corrupted if those are done with impure motives. Let’s not just superficially examine our actions but go much deeper and examine our motives and why we do what we do and truly have a sincerity of heart and let’s also expose the lies of sin and truly live by God’s truth which will set us free. 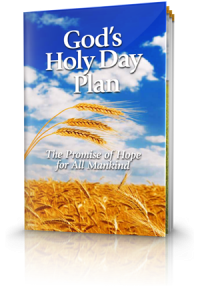 If you would like to know more about the feasts of Passover and Unleavened Bread please request our free booklet God’s Holy Day Plan: The Promise of Hope for all Mankind. We can send you a printed copy in the post, or you can read or download the booklet on our website: www.ucg.org.au.